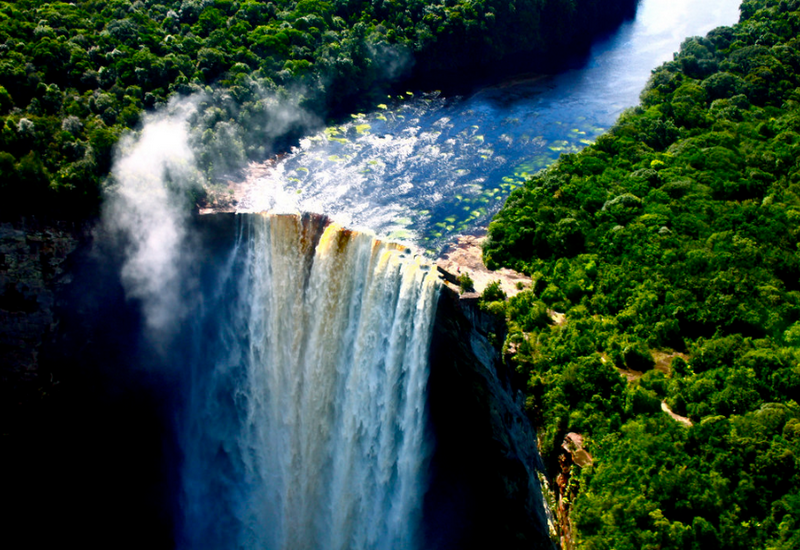 Located on the Potaro River in Guyana, the Kaieteur Falls is huge! The 741ft. Tall and 370ft. Wide falls is touted to be one of the tallest single-drop waterfalls in the universe. The highlight of this falls is that it is located in a tranquil rainforest, where rare species of flora and fauna are preserved effectively.